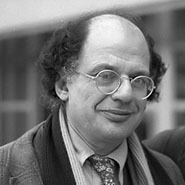 American poet Allen Ginsberg attended Columbia University, where he became close friends with writers who later became, along with Ginsberg, leading figures of the Beat movement. His first published book, Howl and Other Poems (1956), attacked materialism and conformity in America and conveyed his vision of poetry as an uninhibited form of self-expression. "Howl" is recognized as one of the most widely read poems of the 20th century. In the 1960s and 70s, Ginsberg took part in political action, including antiwar protests and advocacy for free speech and gay rights. He published many collections of poetry, including Kaddish and Other Poems (1961), Planet News (1968), and a winner of the National Book Award, The Fall of America: Poems of These States (1973).